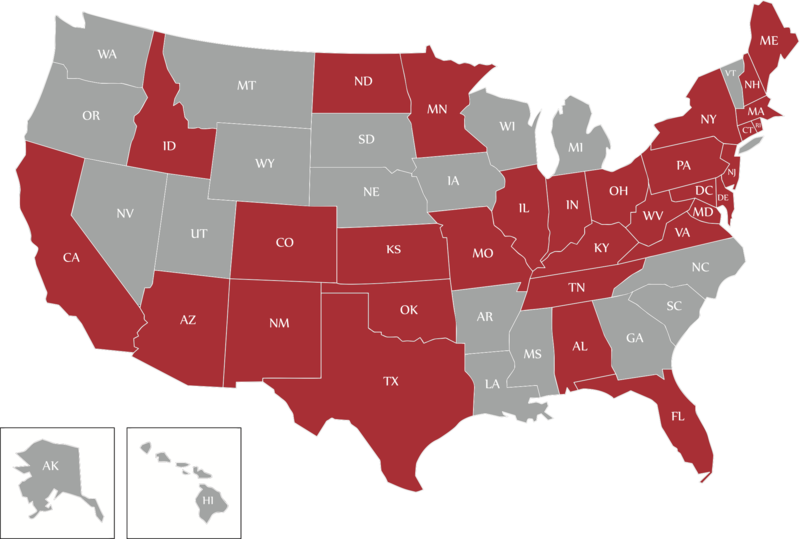 Target boasts 815 locations in 31 states enrolled in 140 different programs. When the weather gets hot and the thermostats start climbing, the electrical grid goes into overdrive and companies like Target turn to demand response programs. Over the past decade, the retailer enrolled almost half of its 1,800 stores in various versions of this energy saving program, turning off or decreasing specific HVAC rooftop units, dimming store lights and increasing in-store temperatures by one to three degrees for a few hours. Target uses their demand response program as a cost-savings measure, while also being a good citizen, lowering energy usage at peak times. But managers overseeing any company’s supply chain, including retail, manufacturing and warehouses, can use this strategy to lower costs. In return for agreeing to use less power during peak times, the company earns curtailment credits or payments. To make it work, the company might shift some of the power usage to generators or other off-grid sources. With demand response programs, companies don’t always use less energy, just less electrical grid energy. In Target’s case, though, they reduce usage. Here are some issues a company may face in developing their program, and Target’s approach. Why participate in demand response? Commercial industrial companies often pay a demand charge, getting billed by the volume of kilowatt hours, but also paying a flat monthly fee based on peak demand kilowatt energy. “If you can reduce your peak usage on a monthly basis, you can lower your demand charge,” said Brett Feldman, a principal research analyst with Navigant Research. Some markets have mature demand response programs, like those in the PJM region, with exposure in 13 states, and markets like New York, New England and Texas. By and large, our guests probably don’t notice that something is happening. “In those regions, all the large commercial industrial customers are familiar with demand response and are participating or have chosen not to,” said Feldman. Other markets may have more fledgling participation and less market penetration. Some companies choose not to participate because they don’t want to adjust their production schedule and feel they have an efficient operation already. They also might have labor issues, like a union, which can affect a company’s ability to participate. “Depending on the type of deal you have, it can be a low risk and decent reward, but for some people, it’s not worth the time or effort, compared to competing priorities,” Feldman said. Target finds multiple benefits to participating in demand response programs. The retailer earns revenue, offsets operating expenses, contributes to their corporate sustainability goals and earns brownie points for good corporate citizenship. They started with a pilot program in three California stores around 2006. That led to a larger 2008 test with 140 stores in several states across the country, growing annually as more programs opened up, and as Target was able to build relationships with utilities and service providers. David Johnston, Target’s lead program manager for demand-side energy services says their program matured three or four years ago, though they continue to add stores each year based on availability and new store openings. Their program is primarily seasonal – May to October. Last year they started the season with 815 locations in 31 states, enrolled in 140 different programs. In 2016, they participated in 236 demand response events (average duration: 3 hours and 15 minutes), and they curtailed lighting and HVAC 3,600 times during those six months. Some programs enroll more than one store, so one demand response event can affect multiple stores. They’ll add an additional 50 stores into demand response programs next season. Most of Target’s stores are enrolled through aggregators, versus directly with the utility. There are advantages to each approach. An aggregator takes the risk for not meeting the curtailment demand when an event is called, using its portfolio of end-use customers. For its services, the aggregator takes a 20-40% cut of the customer participation payment on a monthly basis. Given how many Target stores participate, Johnson appreciates the aggregator’s role of absorbing risk, handling administration, paperwork and helping to identify and enroll additional stores. Demand response isn’t a light touch program, Johnson said. For retailers like Target, it means turning off a portion of sales floor lighting and curtailing some air conditioning. That affects customers and employees. The corporate office must be sensitive to that and communicates regularly with stores about the program to make sure they understand why it’s being done and how to share the benefits with customers. Some stores experience demand response events more frequently than they’d like. That said, when negotiating enrollment, the program provides Target with estimates for how often to expect an event, and Target provides feedback to the aggregator. While Johnson can’t share the program’s impact on sales during a demand response event, “anything that moves the needle the wrong way would be under scrutiny,” he said, agreeing that it’s safe to assume that sales numbers haven’t gone down as a result. He said that if customers come into a store on a hot day, and the store is only one or two degrees cooler than normal, they initially won’t notice a difference. “By and large, our guests probably don’t notice that something is happening,” he said. Depending on the type of deal you have, it can be a low risk and decent reward. Another big challenge is managing the program, given how many exist. Target has to ensure they’ve signed the appropriate paperwork for each store at the beginning of the season, and that the curtailment program is configured to allow Target to meet its commitment to many programs. Internally, they have to continually educate store leadership as to why it’s important and why their support is needed. While much is automated, it’s still a people program, Johnson said. Target uses a couple of platforms to track demand response performance, including a few that are custom built. The aggregators and utilities provide their own feedback and performance information as well, but it comes after a long delay after the event. Target wants to understand more quickly how well they’re performing at a site and aggregate level. For companies considering a demand response program, Johnson recommends first looking at the impact to the occupant, as opposed to just focusing on a number to reduce. When he talks to others hesitant to enroll, they’re worried about affecting the client or occupant’s experience. Without shifting the energy load to another source, Target has been able to minimize the impact on its customers, without negatively impacting the bottom line.